When it came down to it, I had 3 job interviews, and 3 job offers. Nothing terribly exciting, but job offers nonetheless. First, there was the Maihaugen museum shop position. Then I interviewed with the kommune (municipality) for a nursing assistant-type position for a one-on-one patient assignment at a local assisted living center, and was essentially offered the job on the spot. The third position was in a nursing home, but on a short-term floor with patients who are in-between the hospital and perhaps another nursing home, or between hospital and home. This third position would likely have been the best position in terms of speaking Norwegian, learning medical terminology and being in the most "nursing" type of environment. However, since my main goal right now is to Make Money As Soon As Possible, job #2 fit the bill. Job #3 didn't start until June. Job #2 starts. . . . drumroll please. . . the 10th of April. The next two weeks will be busy: we have two birthdays here in the next two days--a Pappa and a Greta, so the kitchen will be put to good use. I already put in a solid afternoon making going a little Martha Stewart for Greta's barnehage birthday treat: 30 frosted Winnie-the-Pooh sugar cookies, about the size of the palm of my hand. 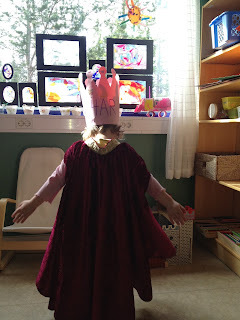 Greta was hurra'd, crowned, cloaked and tossed in the air and sung two birthday songs this past Friday. 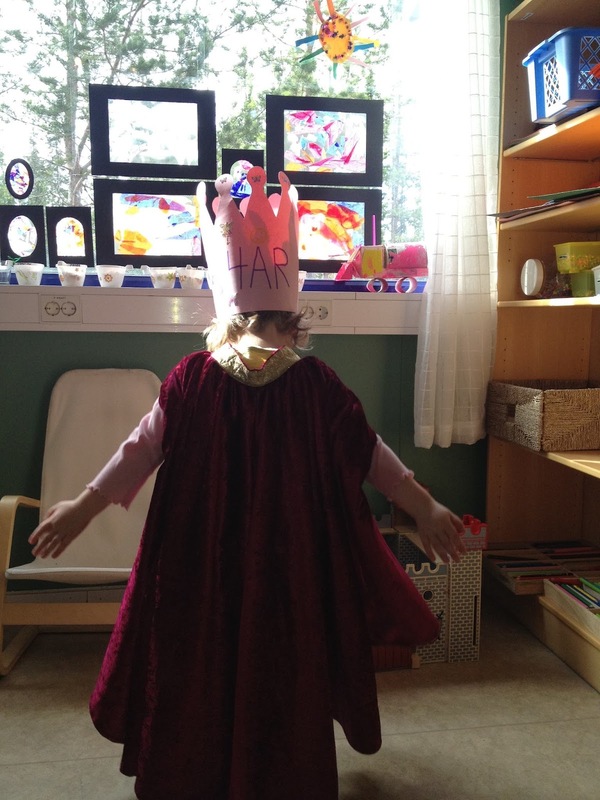 She celebrated early, seeing that next week is påskeferie (Easter vacation) and there will only be 6 kids at barnehage on her actual birthday. This seemed to be fine with her, as now she has "three birthdays" (barnehage, home and a small yet-to-be-determined-when friend party). April 10th, job starts; April 14th, enormous Norwegian test, which I should be studying for right now. On that note: vi snakkes. (We'll talk). Yea!!! Emily, that's outstanding! Three interviews and three job offers---you should be really proud of yourself. You'll learn so much Norwegian and feel so good about yourself. Woohoo! And you've inspired me to remember that things change quickly in life, so no need to feel too bad about current circumstances. Well done to you! Those cookies are super yummy looking---the kids must have loved them. Hip hip hurra til Greta og Pappa hennes. Stor klem. Congratulations! Good luck on the upcoming test. Please send some leftover cookies to Oslo. P.S. Which test are you taking? Hurray! Congratulations! (Although a small part of me is sad you won't be wearing a period costume. :) ) Happy Birthday to Greta! The cookies look great. Parents in the News. . .